Someone that made a strong impression within the esport betting scene is the operator Loot.bet. They fit into the category of gaming sites who chose to only focus on esport - which makes them a very strong candidate in fragbetting.com's top esport betting list. As Betspawn, Lootbet was founded in 2011 and site is today available in 6 different languages, but most importantly in English. Overall the experience feels complete and we can strongly recommend Loot.bet as a esport betting operator. Looking for bonuses? Read more about bonus offers at Loot.bet here. 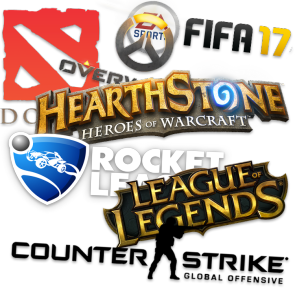 When it comes to available esport games, you can as expected from a operator who focuses mainly on esport choose from almost all esport games on the betting market. There are some games that we're missing from the selection, for example PUBG and Fifa. But mentioning this is just us being picky, if these two are no games you want to bet on you will most likely find your favorite games in the list. For those who want to get some extra value for money on first deposit, Loobet offers a great welcome bonus. And for those who have already used this bonus, there is also another bonus called Long-term bonus, read more about the bonus in the headline below. Bonuses are often related to ongoing campaigns, which mean when you check out their site, other bonuses might have been added or terms may have changed. Therefore, always be sure to double-check bonuses with support before making a deposit. 1. First Deposit Bonus code: "SLTV"
When opening a new account at lootbet you will receive a first deposit bonus which gives 100% match on deposit up to a maximum of € 100. We noticed that the minimum deposit amount is € 10 when we're about to make a deposit, even though the terms says € 5. This may vary depending on what deposit method you choose to use. The bonus has a wagering requirement similar to all other deposit bonuses. The wager requirement is x10 your bonus amount. For example, if you deposit € 100 you also get the same amount in bonus, the bonus need be wagered in a total of € 1000. 2. Long-term Bonus code: "LOOT"
Apart from the first deposit bonus, there is another bonus for "long-term" players. This bonus can only be activated together with a deposit as it's a match bonus. The bonus has the same value as the welcome bonus, which means 100% match up to a maximum of € 100. This bonus has a little bit less favorable wager requirements compared to the first deposit bonus. Wagering requirement is still at x10 but you can only wager at 1.90 odds or higher instead of 1.80 which applies to the first deposit bonus. When a game is live you usually have access to a live stream by clicking on the video icon on the left side to the match overview inside the betting lobby. When the game is live and running you can place different types of bets. We have tried out betting on match winner while the game was running and it worked very well. The odds are quickly updated for each new round so you can as example place strategically bets on comebacks you believe are possible for very good odds. We did not found much history or interesting company information to share about Lootbet, the site was founded in 2016 and has since then managed to establish a strong brand among the top esport betting operators. 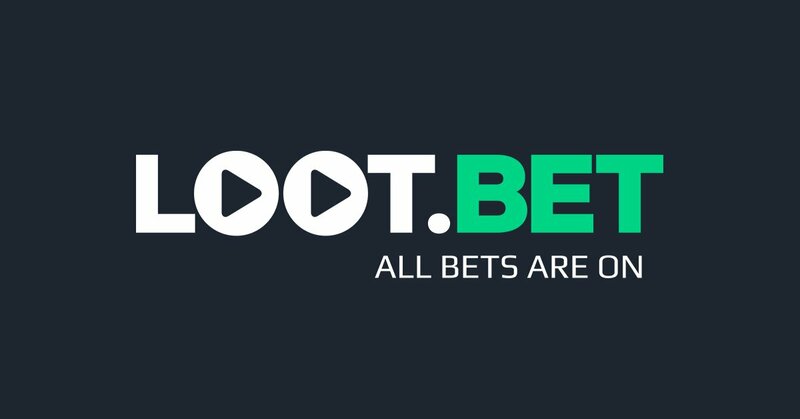 We believe that Lootbet is one of the strongest brands in esport betting today together with gbbet and egb. If you want to play on your mobile you'll have to be satisfied using you mobile browser. Lootbet have not developed any mobile application to download and play on. This definitely does not have to be a deal breaker but may be a disadvantage depending on your needs. If you want to play via app, we recommend checking out esport betting at Betway. 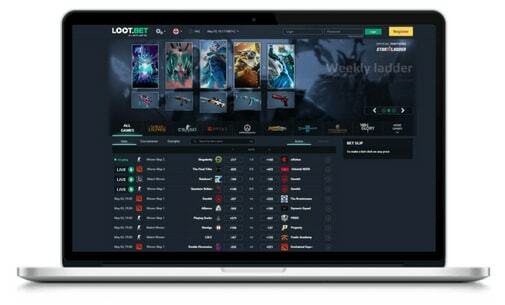 Lootbet is like all recommended gaming sites on Fragbetting.com. registered and licensed to operate legally. Lootbet has a registered license through Cyprus's Curacao Gaming. As a player and customer, you can feel confident that all transactions and personal data is handled according to the law. Support is reached either by chat, phone or email. You can get in contact with the support 24/7 which is very beneficial if you should face a problem when playing late evenings or nights. When entering the chat you get treated with a helpful support, they keep an professional but personal tone. Chat respons time is usually around 5 minutes. When it comes to transactions for deposit and withdrawals you have access to a big variety of methods. Unlike some operators that sometimes make it unnecessarily complicated to make a deposit, it's smooth and easy at Loot.bet. If you have a lot of skins you can also make deposits with Skinpay which is great news! This is something that many view as a big advantage when choosing a betting site, that also includes us at fragbetting.com. However, if you don't have plans to gamble with skins, you can still access many other payment options at your disposal. We believe that loot.bet is a very strong operator among all esport betting sites. And we believe with no doubt that they will continue to be within the top preforming esport betting operators. They offer a great live betting experience and fast payment systems. When you open a new account you will receive two bonuses, first the welcome bonus and then a second deposit bonus as mentioned earlier. You will find bonus codes further up on this page.